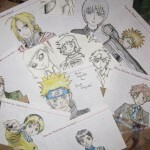 Artwork by Mardy, age 13. Come to the studio and make something! For more information, please check under the ”$5 Fridays” Artist Workshops. 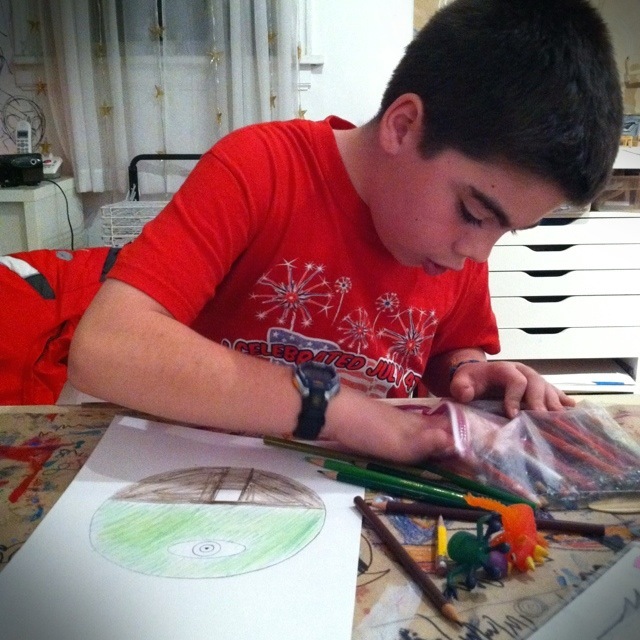 Peter working on his monster drawing during a "$5 Fridays" Artist Workshop! April workshops include For sur-REAL (Markers/Color Pencils), Mini-Aliens (Watercolor Paints) and Spring Collage (Mixed Media/Cardboard)! “$5 Fridays” Artist workshops in March! 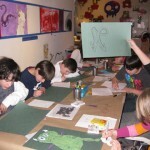 Artists participating in last months "$5 Fridays" Artist Workshop, The Year of the Dragon! 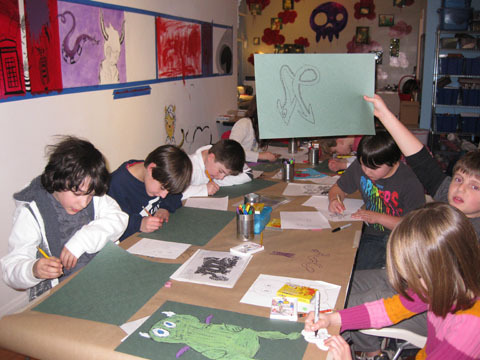 March workshops include Fun Faces (watercolor paints), Mini-Monsters (Color Pencils) and Mini-Comics (Leprechaun Theme)! “$5 Fridays” Artist workshops in February! 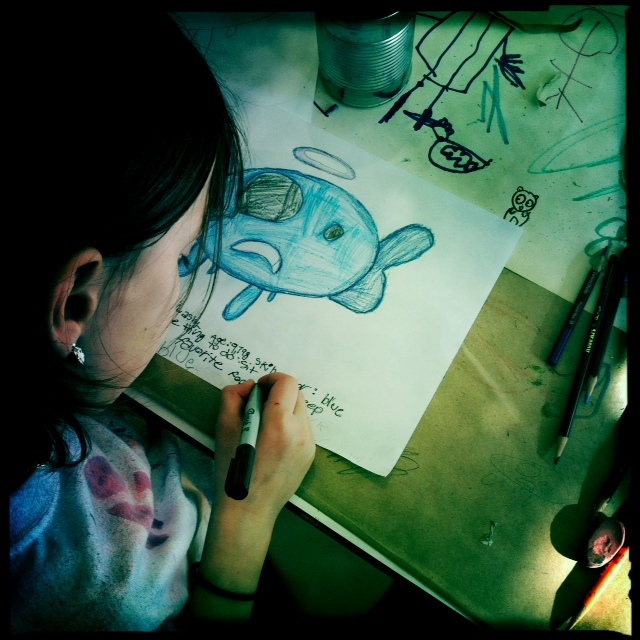 Grace, works on character development at last month's cartooning workshop. 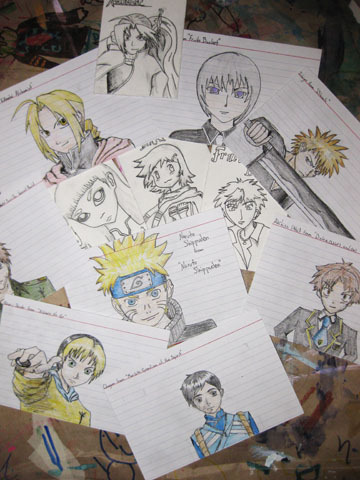 February workshops include Year of the Dragon (oil pastels), Mini-Comics (Valentine’s Day Edition), Penguins (color pencil techniques) and Rad Record Painting! For more information, please check under the ”$5 Fridays” Artist Workshops section of our blog. 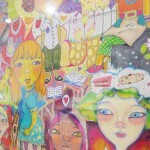 Posted in "$5 Art Workshops"
“$5 Fridays” Artist workshops in January! Sam works on his Rad Record! 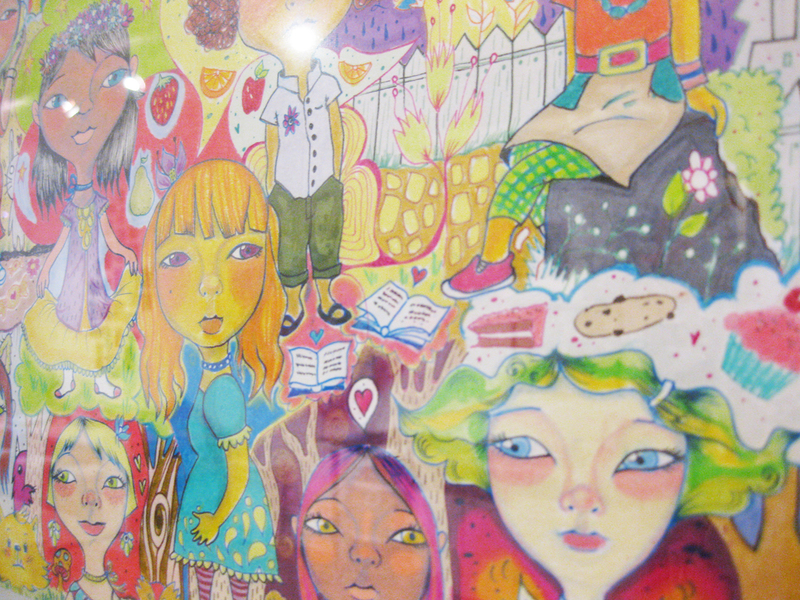 January workshops include Bears (oil pastels), Mini-Comics, Winter Collage and Rad Record Painting! “$5 Fridays” Artist Workshops in December! 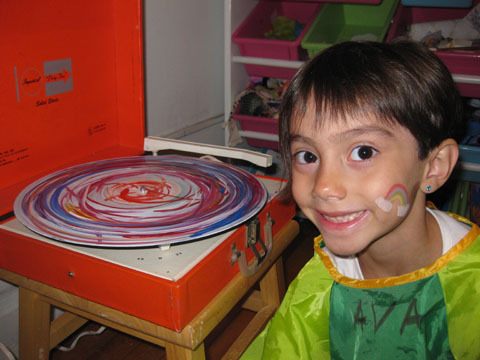 Ava painting a "Rad Record" on a record player! Right-Brained Studio is offering “$5 Fridays” artist workshops on December 2nd, 16th, 23rd and 30th. December workshops include Pets (oil pastels), Mini-Comics, Winter Forest/Holiday Tree Collage and Rad Record Painting! “$5 Fridays” Artist Workshops in November! 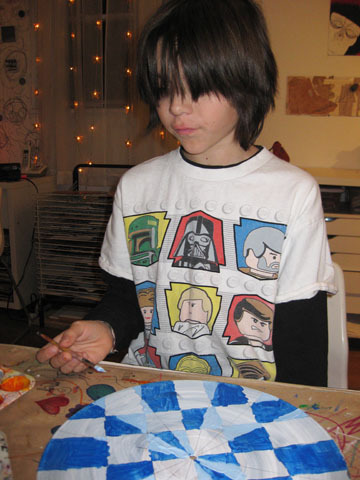 Youth artists create birds with oil pastels in the November 4th "$5 Fridays" Artist Workshop! 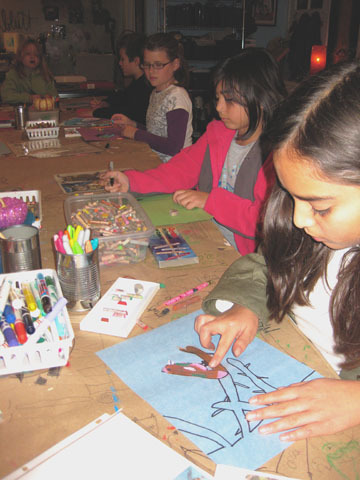 November “$5 Fridays” Artist Workshops are well underway for November! Youth artists created colorful birds using oil pastels. For more information about “$5 Fridays” please check under the ”$5 Fridays” Artsist Workshops section of our blog.